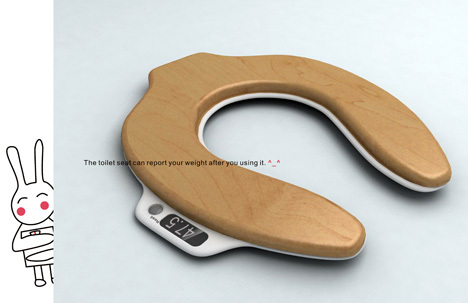 Designer Haikun Deng has created a toilet seat with a built-in digital scale that displays your before and after weight after doing your business. 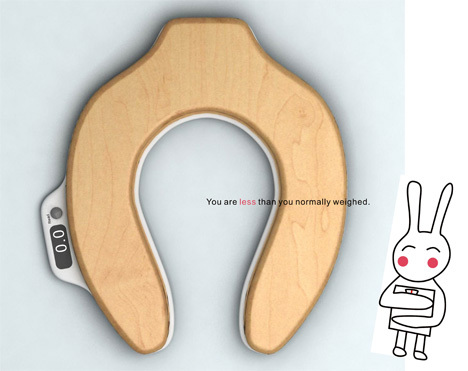 The concept is quite simple and according to the designer it’s meant for people (apparently obsessed people) who are constantly monitoring their weight or those curious about how many pounds they can shed by simply offloading instead of diet and exercise. I don’t know about you but we here at Wookie think it’s a great invention. Because to be honest, we’re all really tired of having to do our business in a plastic bag and then measuring it on a scale while subtracting it from our total weight daily.